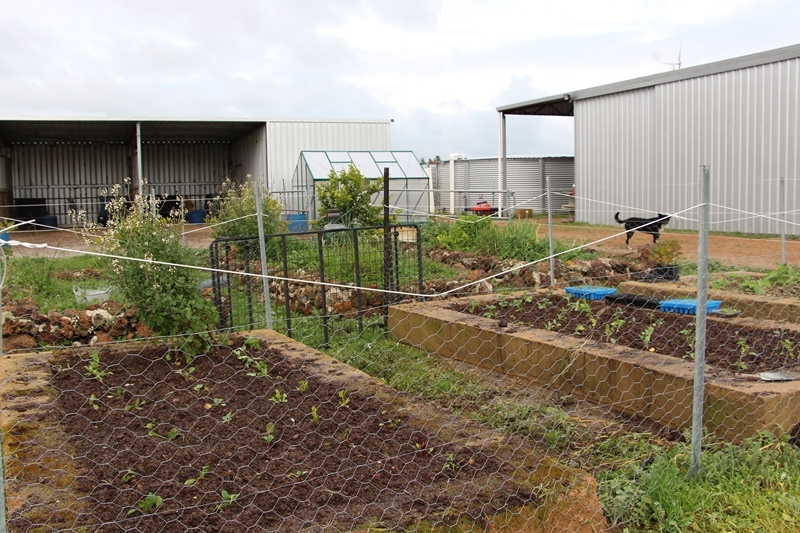 The fruit and vege garden is taking shape. We are currently growing… potatoes, garlic, leeks, spring onions, onions, broad beans, chillies, broccoli, cauliflower, brussels sprouts, spinach, rocket, kale, celery, lemons, limes, oranges, pomegranate, sweet potato, parsley, peas, rosemary, oregano. I will sow some seeds for the summer veges in the new greenhouse.